The private sector has always been involved in the funding and operation of concessions at airports, but airport sponsors are increasingly turning to the private sector for the financing of crucial airport infrastructure—terminals, airfield improvements, passenger support functions, and ancillary facilities. Public-private partnerships (P3s) offer opportunities and flexibility that are not available with traditional Airport Improvement Program and PFC funding. 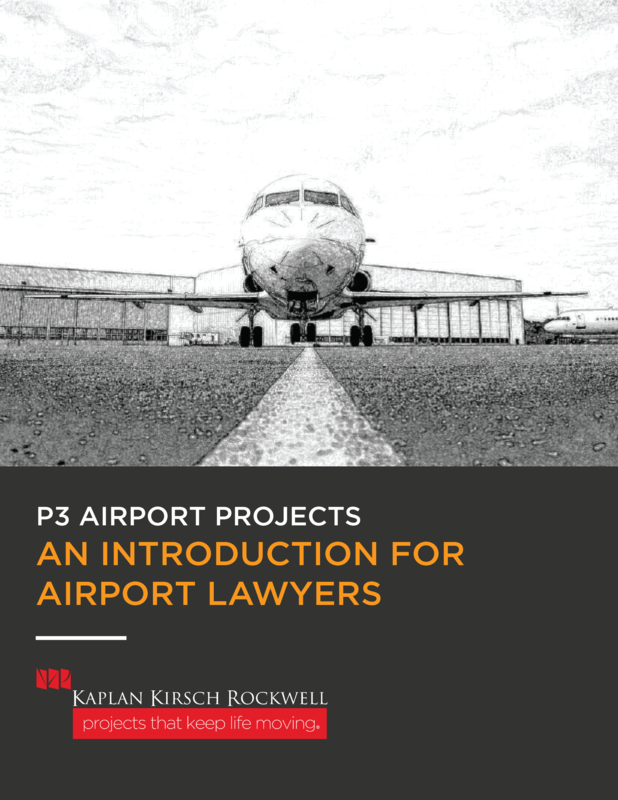 As airport sponsors explore the world of public-private partnerships, they often call upon Kaplan Kirsch & Rockwell to provide counsel on the structuring of P3 transactions, negotiation of contracts, licenses and agreements, development of requests for proposals, and monitoring of private operators to ensure compliance with regulatory and contract requirements. Beyond traditional P3 arrangements, airport proprietors also seek the Firm’s counsel on the structuring of project delivery in light of each proprietor’s objectives and legal framework. Whether it be construction manager at risk, design-build, design-build-finance-operate-maintain, or the myriad other permutations of project delivery, the Firm’s attorneys are familiar with advising clients on the optimal and most cost-effective mechanism for their particular projects. We recognize that no single delivery method fits all projects—even all projects for the same airport. Our attorneys are frequently called up to educate airport management and local elected officials on the benefits and risks associated with various delivery methods. Represented the sponsor of a large industrial airport in the Pacific Northwest in the planning and implementation of first-time commercial passenger service; engagement included completion of required environmental review and the successful negotiation of a concession contract for a private entity to design-build-operate-maintain all passenger functions (including a new terminal building).